The once peaceful planet of Shambala is on the verge of extinction! Now the scientist responsible for the danger seeks to correct his mistake on another world, but this planet is home to a far more primitive culture than his own. Even if he is successful, can Alpha save Shambala before it’s too late? Cover Art by Marc Guerrero. 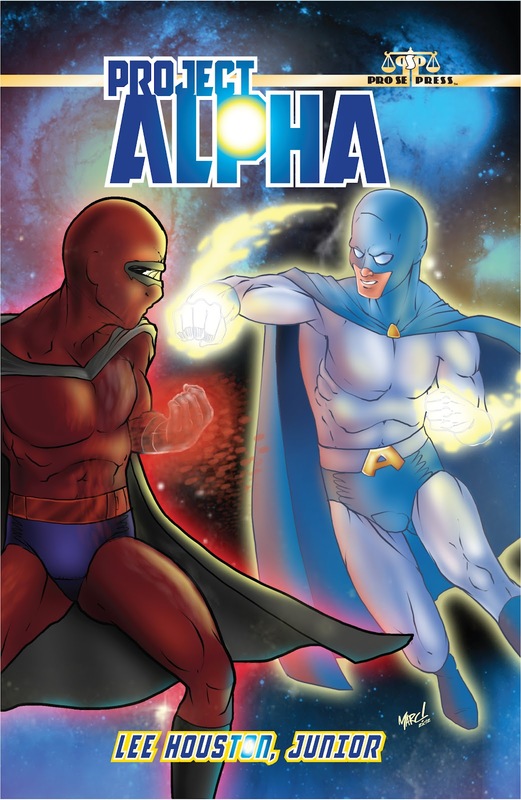 And Book 2, ALPHA: WAYWARD SON will be out from Pro Se Press in 2013. This entry was posted on July 4, 2012 by vplexico. It was filed under Lee Houston Jr, Novels, Pro Se Press, Superhero Fiction and was tagged with action, adventure, Amazon, e-books, ebook, Lee Houston Jr, newpulp, paperback, pro se, project alpha, superheroes.